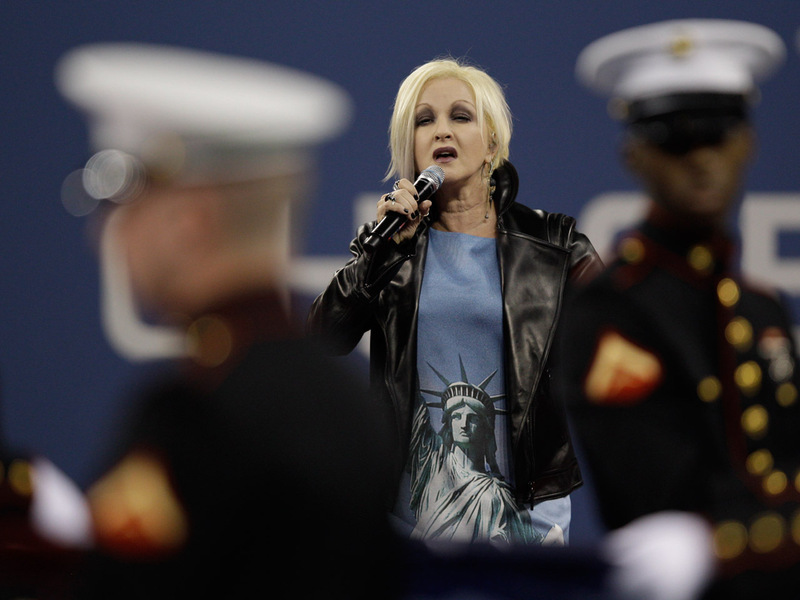 (CBS) Add Cyndi Lauper to the list of singers who have had trouble with the national anthem. Earlier this Christina Aguilera famously flubbed a line. Now Lauper has botched the same one. During a performance at the U.S. Open this weekend as a part of a Sept. 11 memorial, Lauper got the same lines wrong that Aguilera flubbed at the Super Bowl in February. According to the Huffington Post, Lauper sang, "O'er the ramparts we watched as our flag was still streaming." The correct line is "O'er the ramparts we watched, were so gallantly streaming." On her Twitter page, Lauper tweeted an explanation. Read it below.